Restorative justice could be used more widely in Blackpool in order to prevent young people being drawn into a life of crime. The proposal is among measures being considered in the wake of a critical government report into the way the town's Youth Offending Team (YOT) is being run. The service was rated 'inadequate' last December by HM Inspectorate of Probation officials who found “widespread poor practice” within the council-run team. Since then a meeting has been held with Justice Minister Edward Argar with a number of proposals for improvement being taken on board. Blackpool Council leader Simon Blackburn, who attended the meeting in London, said aims included trying to keep young people out of the criminal justice system while still ensuring they were challenged over their behaviour. He told a meeting of the council's Resilient Communities and Children's Scrutiny Committee: "One of the directions of the minister was he was not persuaded the police were committed to doing all they could to keep young people out of the criminal justice system. "There are some very strong diversion projects in other parts of the country, for example Cheshire, where young people when they are detected as committing an offence, they are not allowed to 'get away with it'. 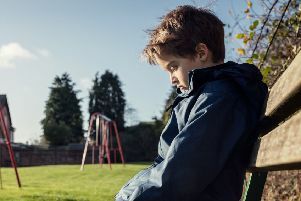 "I agree the longer there appears to be no punishment for poor behaviour, the longer that poor behaviour is likely to go on without being challenged." Coun Blackburn said better alternatives to arresting a child needed to be explored because putting a young person in custody often made them more vulnerable to further criminality. Punitive measures such as local justice panels, restorative justice and a better system of recording how individuals are dealt with needed to considered. He added: "In cases of vandalism for example, this would be about talking to the victim to see if they would be prepared to accept restorative justice and the young person going back to see the victim, apologising and putting right what has gone wrong." Coun Danny Scott said a balance needed to be struck between punishing young people and not pushing them further into criminality. He said: "How far do you allow young people to ignore the law? The more young people get away with things, the more they become involved in that way of life. "We are still getting problems around the Gynn roundabout and it's the same young people, and this is happening all around Blackpool."